Separated but living close to one another, Mathieu and Anna both take care of Sarah, their seriously ill daughter, whose survival depends on the controlled atmosphere of a sterile chamber from which she can not leave. When a violent earthquake shakes all of Paris, it releases a thick toxic mist that kills everyone who breathes it. 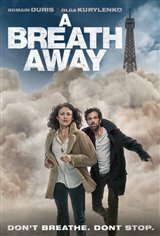 The only solution for Mathieu and Anna is to take refuge with retired neighbors living on the top floor of their building, where the air is still fresh. Cut off from the world, the former spouses engage in a race against the clock to keep Sarah alive, still stuck below in the hermetic bubble that requires a new battery every five hours in order to continue an uninterrupted supply of oxygen.